An awe-inspiring performance is back, and we assure you it’s better than ever. 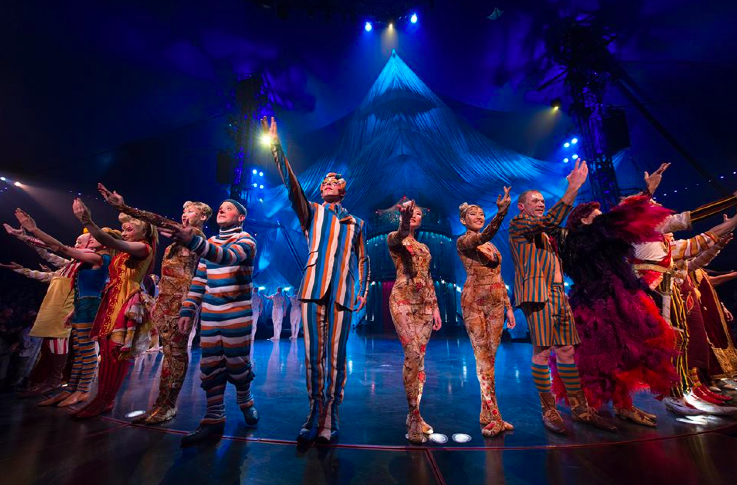 After performing 2,700 shows in forty-seven cities, twelve countries, and three continents, we are ecstatic to announce the highly anticipated return of Cirque du Soleil’s KOOZA in Austin. The show spotlights a downhearted loner; the Innocent endeavoring to find his desired place in the world. Through the collaboration of acrobatic performance, the art of clowning, and slapstick humor, the Innocent encounters an eccentric assortment of characters that prompt him to further explore his misplaced identity. With heavy emphasis on the themes of fear, identity, recognition, and power, the bold and thrilling show will keep you on the edge of your seat with it’s adrenaline rush inducing act. It’s no wonder the show has over 4 million viewers.